Almost all workplaces have their mentally taxing moments here and there. The constant pressure to meet deadlines, working overtime to finish a job, and ensuring top quality work at all times can create a very stressful job environment. In fact, the American Institution for Stress states that “workload” is the main cause of stress at 46%, and this number has increased over the past few decades. Constant stress can lead to many problems, for instance, brain fatigue. Brain fatigue, or brain fog, is a state of brain confusion that can be either mild or quite severe. Employees with brain fatigue can experience an inability to focus, and a dulling of your mental awareness. For some people, this can lead to minor workplace errors like typos on reports or just sending an email to a wrong person, but for employees in a warehouse or factory environment, these errors may lead to much more severe consequences. A lack of concentration can lead to damaged products, or worse, a workplace injury. One mishap, may it be a forklift accident, dropping materials on your foot, or even misplacing your fingers using a buzzsaw, could potentially be catastrophic for your business. Keeping these types of accidents to an utter minimum is an absolute must for all manufacturing businesses, and reducing brain fatigue and stress is a great place to start. So how can you enhance your workplace environment and reduce stress? 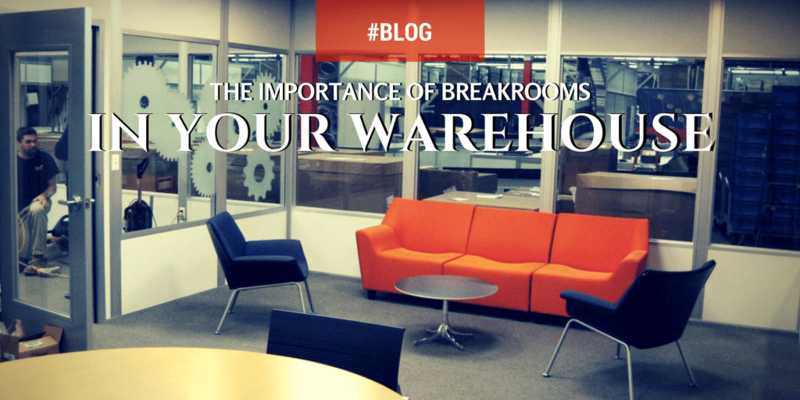 In a manufacturing environment, a breakroom can provide many benefits to employees and supervisors alike. The employees can have an area, isolated from the work environment, to relax and unwind. In this case, the breakroom becomes an area that boosts the morale of workers and allows them to come together as a group and collaborate on thoughts and ideas. As for the supervisor, studies show that employee productivity actually increases, when they are allowed a few short breaks throughout their shift. With a place to decompress, away from the loud and busy warehouse floor, the staff will be able to return to work refreshed and productive. Perhaps more importantly, reducing stress will help decrease brain fatigue and can actually lead to a healthier life. With these benefits, the workplace can run more efficiently, and each employee can better focus on their task at hand. Ultimately, this creates a win-win scenario for the employees and managers. How can Panel Built help? Panel Built specializes in Inplant Offices for warehouse and manufacturing settings. Our offices can be equipped with powerful heating and cooling systems to ensure the comfort of all employees no matter what the environment. Also, at Panel Built, we whole-heartily believe in 100% customer satisfaction. Therefore, our customer support and sales staff will absolutely go the extra mile to ensure you are fully satisfied with your order. Likewise, our inplant offices are more affordable than building your own separate break room and provide more convenience, since it will be located in your facility. 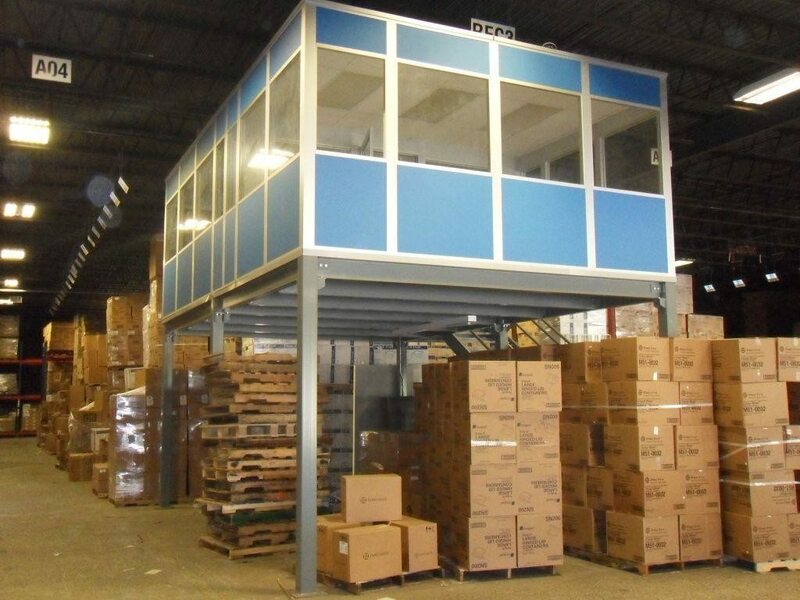 For added convenience, we can even install your new breakroom on a mezzanine system to keep from taking away from your storage space. Overall, with a Panel Built modular office, you will receive a cost effective breakroom, which provides a comfortable and peaceful space away from the manufacturing floor. The office will be constructed, delivered, and installed for you in a fraction of the time that it would take traditional construction. Our engineers will design each modular office to your exact specification, so customization is not an issue. And finally, if space is an issue, our mezzanine office will provide all of these benefits, plus it will not take up extra space on the manufacturing floor. We hope that you will consider Panel Built, Inc. for your next breakroom. From concept to completion, our superb Sales, Customer Service, Engineering, and Installation teams will work with you every step of the way to ensure the success of your project. We look forward to working with you!